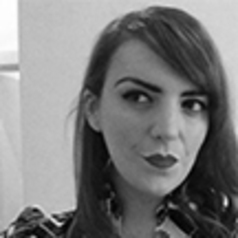 Natalie joined Sheffield Hallam University in 2016 as Senior Lecturer in Fashion Marketing & Communication, having previously been Lecturer in Fashion Industry at the University of Huddersfield. Natalie’s current academic research interests are focused on Fashion Psychology, Fashion Subcultures, Fashion Bloggers / Blogging, Body Image and Tattooing. Prior to joining the University of Huddersfield Natalie was Associate Lecturer at Manchester Metropolitan University, The University of Manchester and Nottingham Trent University, where she has lectured in Fibre Analysis, Archaeological textiles & personal appearance and more recently Fashion Communication & Promotion, Fashion Blogging & Bloggers. In addition to academic pursuits Natalie has vast experience working in the Fashion Industry with collaboration and consultations for well-known fashion brands and writing for contemporary fashion magazines. Natalie has worked as a columnist and features writer with Style etc. Magazine and Things & Ink Magazine, and has was a keen fashion blogger since 2009.